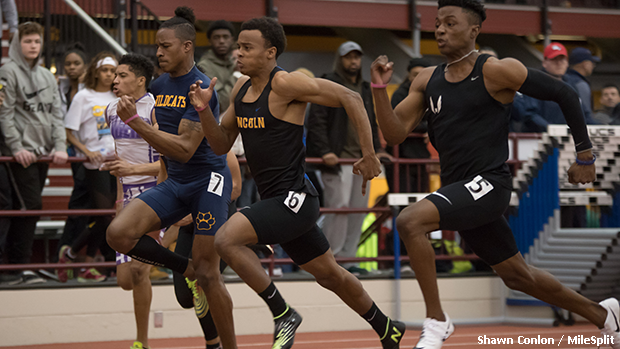 With five boys sub-7, the heat is on in the 60m Dash this weekend. Watch for Jaeschel Acheampong and Christian Ford to also be in the mix with seed times at 7.00. After dropping a US No. 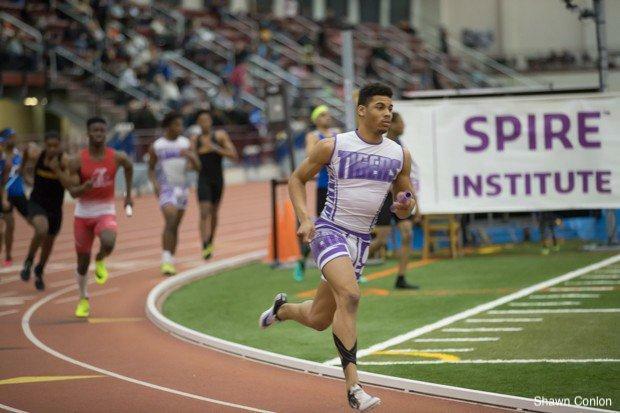 8 3:21.06, the Pickerington Central Tigers are poised to shatter 3:20 this weekend. They're five seconds ahead of second seeded Reynoldsburg, but it may not matter with the talent on their squad. 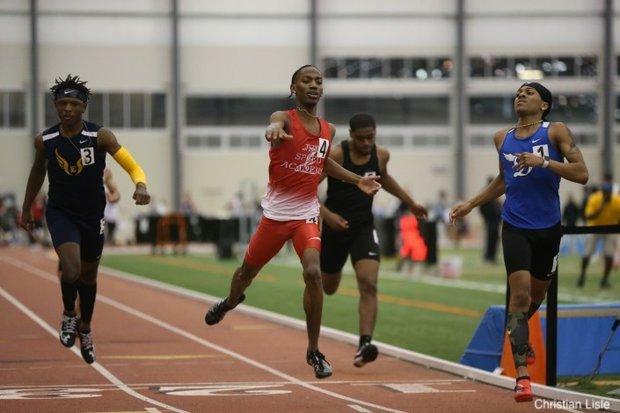 Their sprints depth is unmatched at the moment with three boys in the top 10 in the statewide Ohio 400 meter dash rankings and four in the top 14 in the statewide 200 rankings. This 60 Dash is a little more spread out, but we are ready to see how low Tre Tucker can go in the event. It may be a blow out, but watch for Tucker to go sub-6.8. Not the boldest prediction, but Dunbar's Zamir Youngblood will have to leapfrog Kalida's Verhoff 22.30 to take the 200 dash. His 22.60 is ranked second in the event and his 49.98 has him has him nearly a second ahead of the next closest mark in the 400. Only two boys are sub-51 at the moment in the 400, so Youngblood is a heavy favorite there, but the 200/400 double should be more challenging. 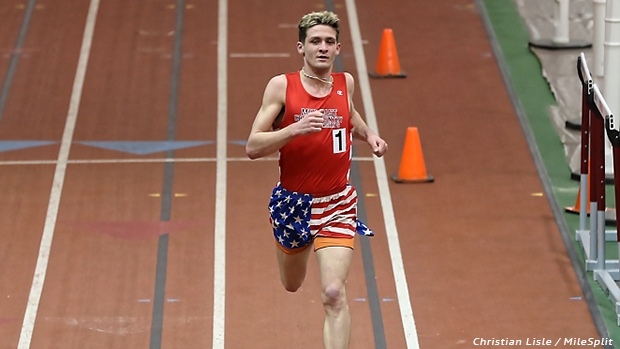 It's Manley/LeClair Part 2 as both boys finished within a half-second of each other in the star-studded SPIRE Showcase 1600 three weeks ago. Manley has run 4:13 in the outdoor circuit and should be the favorite even though he hasn't set a personal best like LeClair this winter. Be careful, though, as Schroff lurks only a few seconds behind and was with these two for most of the race at SPIRE. An unprecedented logjam in the boys 800 has left Kings sophomore Alex Justus as the second fastest seed in the first heat. Justus has yet to break 1:59 in his indoor career, but we should not yet forget that he ran 1:54.86 last spring as a freshman. It's anyone bet as to who may win as all 24 boys are within 5 seconds of each other, but the boldest of the bold will tell you Alex Justus shocks them all and brings home the victory. Lucius and Duffie have separated from the field and will provide quite the showdown in the half-mile. 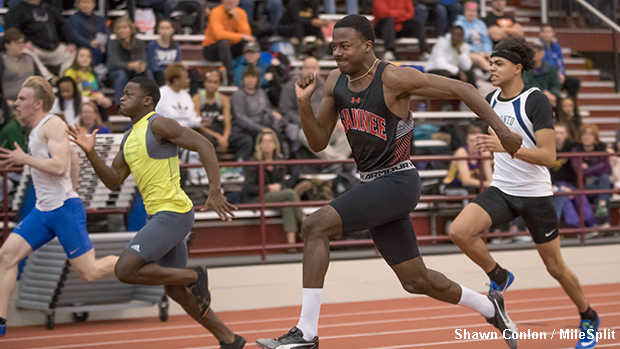 Lucius has plenty of experience in the 1:54s as he's done it outdoor, but Duffie will still provide quite the challenge as he is an experienced performer at the state meet in this event. Both boys should separate from the field early and provide serious fireworks. 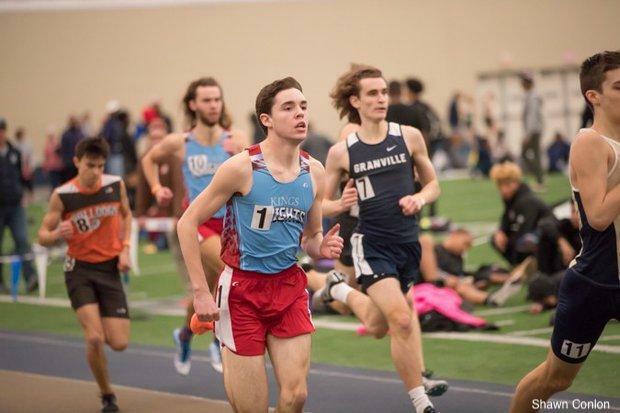 Blake Lucius is ranked first in the 800 at 1:54.95, Samuel Logan is ranked second in the 1600 (just barely) with his 4:25.51, Caleb Brown is ranked first in the 3200 in 9:07.56, and their 4x800 is ranked first at 8:10.55. The 4x800 is the safest bet as they sit a full 20 seconds ahead of the next closest squad and have a team that features the three aforementioned stars. 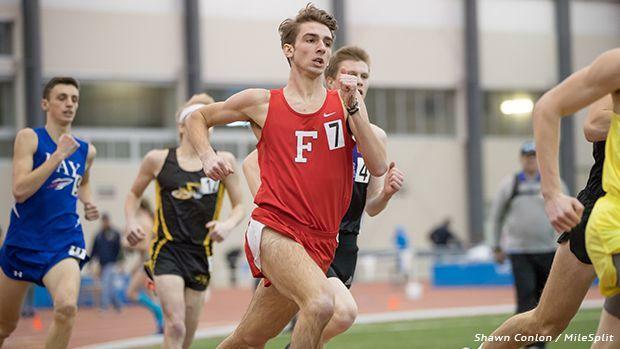 Brown has an 11 second advantage on Ayersville's Noah Fisher and 21 seconds on Indian Hill's Ben Bayless and, after stunning the field at the SPIRE Showcase, he has cemented himself as one of the top 2-milers in the country. 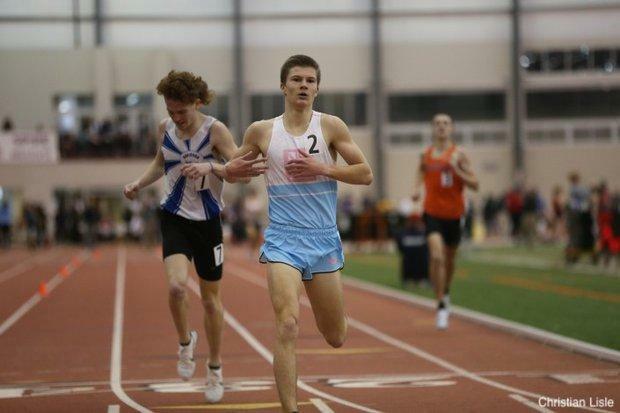 Lucius has the chops to take the win in the 800 as mentioned above, but Tyler Klouda (Garfield) could play spoiler if he can live up to his top billing in the 1600. He entered the season eight seconds ahead of the next closest returner, but Logan has narrowed the gap and both boys enter tomorrow's race within .03 seconds of each other. 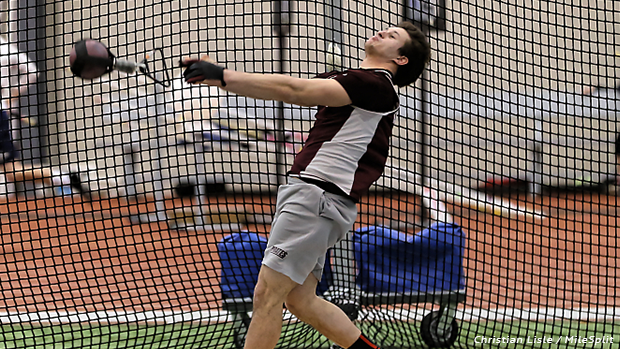 Can Anyone Take Down Tyler Arbaugh in the Weight Throw? 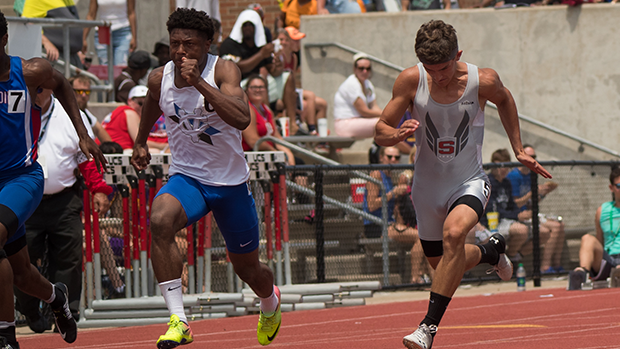 Hairston is the heavy favorite in the long jump and should have little trouble bringing home the win there, but Olentangy Orange's Acheampong will provide a challenge in the triple jump. Acheampong finished second last season as a sophomore and has the experience necessary to take down a titan of the horizontal jumps like Hairston. Keep an eye on the back-and-forth that goes on at the triple jump pit this weekend. 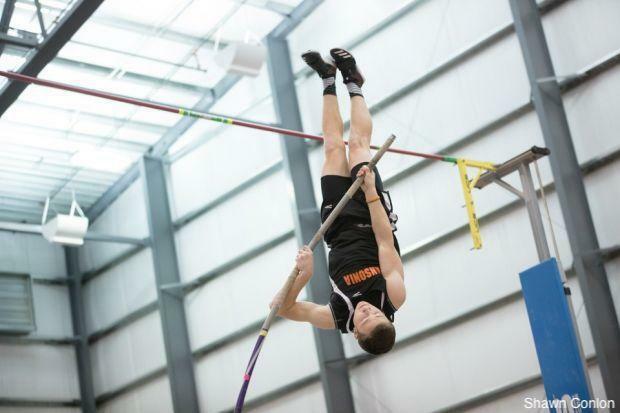 With two more boys over 15-0, the pole vault on Saturday night will be popping! Shellhaas is the top returner from the 2018 state meet with his 14-6 jump and third place finish, but Brokschmidt was not far behind. Kyel Wolff and Robert Artrip both throw their names in the ring, as well, so this event is anyone's call. It is also arguably the strongest state-exclusive pole vault field that we have seen this winter. The reigning state champ in the triple jump will try his hand in the long jump this year. 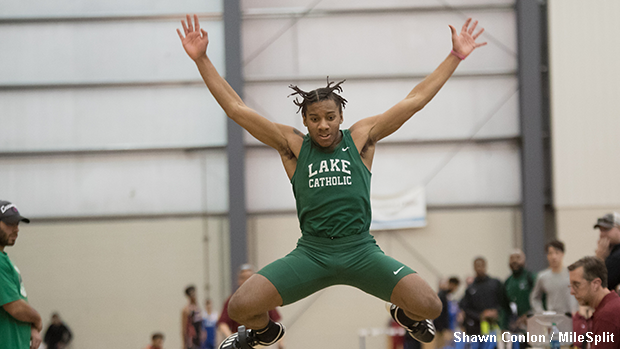 He is the top seed in the triple at 43-8.25, but the long jump will be a challenge as he will have to hold off Fisher Catholic's Daniel Turner and take down Dunbar star Zamir Youngblood. 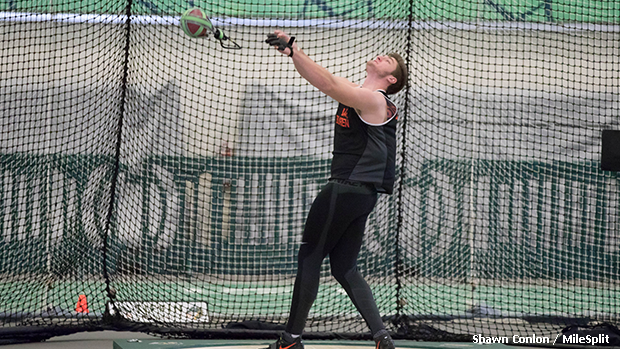 Youngblood is the top seed at 21-11 and Comminey is only 7 inches back at 21-4.